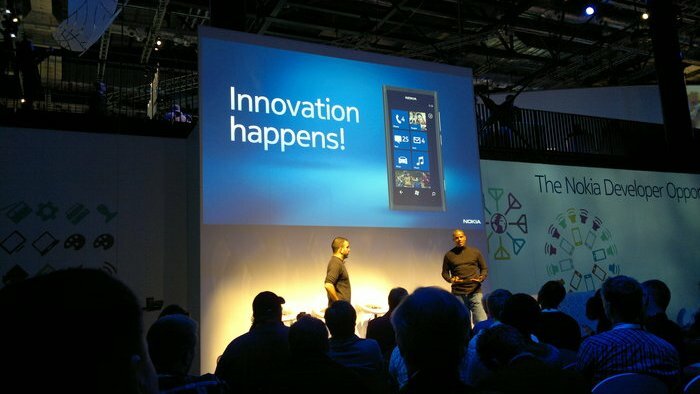 Microsoft's Brandon Watson, Senior Director of Windows Phone 7 development, and Nokia's Reggie Hutcherson, Director of Windows Phone Experience, held a talk at Nokia World 2011 about the opportunities on offer to Windows Phone app developers. The talk was aimed to show that they understood the needs of developers, and how serious both companies are about obtaining and supporting as many developers as possible. While this is what you might expect both companies to say, Brandon Watson in particular putting himself forward as being available, anytime, to any serious developers that wanted to talk to him. Acknowledging that "everyone" is now developing for mobile devices, Brandon and Reggie stated that Microsoft wants to talk to as many developers as it can. Thanks to specialised tools and integrated development environments (IDEs), the time taken to develop a mobile application has dropped from eighteen months to just a few days. Brandon told the crowd how Microsoft has already invested heavily into having "the best" tools for developers (on Windows) and wants to carry that forward to Windows Phone. He assured everyone that Windows Phone development tools would be free of charge, and that the download rate of Windows Phone development tools had doubled since Mango was released. 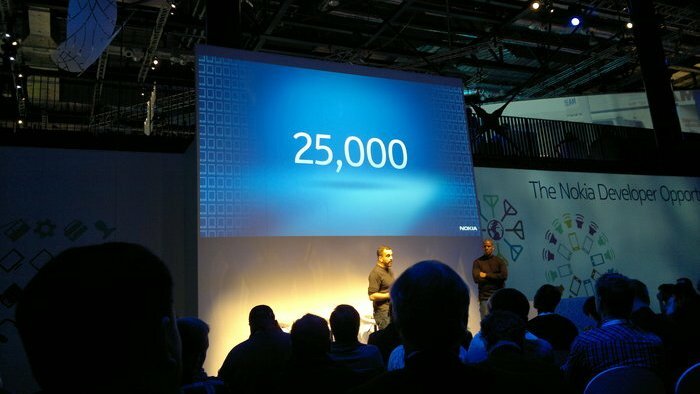 Currently, the Windows Phone development tools have been downloaded 2.5 million times. The development tools and related documentation are currently available in nine languages. They went on to say that they have been looking at the factors considered by developers when they are choosing which mobile platform to build their applications on. The first factor they identified was the market penetration of the platform. Due to its late entry in to the market, this is an area where Windows Phone will struggle. 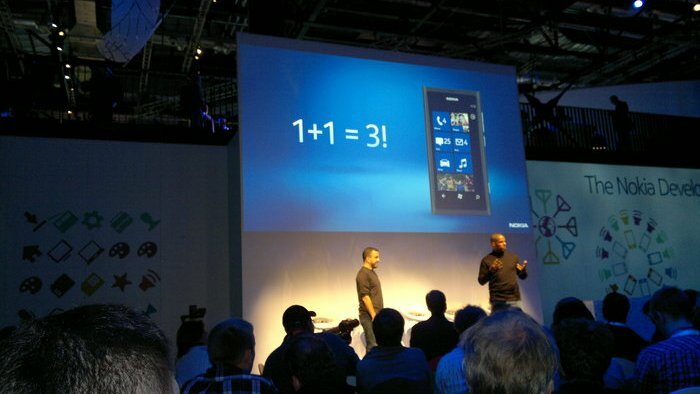 However, as pointed out in the talk, the combination of Nokia and Microsoft can reach 190 countries. Therefore, they said that Windows Phone represented a "huge opportunity" for developers that doesn't come along very often. That statement could be easily misunderstood, however, I believe they were referring to the opportunity for developers to be first to market with a particular type of application. Next, they said that developers care about marketing assistance. By means of meeting this demand, Microsoft has been offering consultation sessions to developers on whether their applications should be paid for, have a free trial, or be completely free, etc. The next aspect that they believe developers care about is the technology on offer and community that surrounds it. To help expand its community, Microsoft is allowing all Nokia developers to join its AppHub service for free. 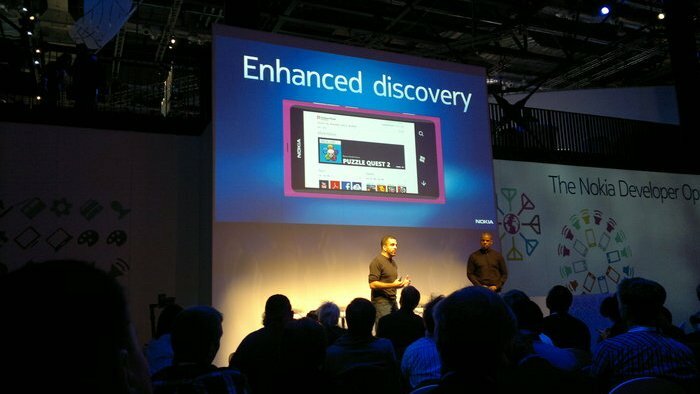 Another way in which Brandon said Microsoft was helping developers was with "Enhanced Discovery". Windows Phone is the only platform to have an API for free trials of applications. Every other mobile platform has applications with a try before you buy scheme. However, every other free trial system is a kludged together system that each developer has to come up, and support, on their own. With the Windows Phone Marketplace, this is built into the platform, and should be as easy as the developer clicking an option. In turn, Brandon reported that this system has seen a high conversion rate. In other words, being able to try non-crippled applications for free has encouraged users to be confident about purchasing more applications. He also stated that the Windows Phone team have a motto that "they don't want any customer to regret an application purchase", hence the trial API. Microsoft has also introduced a remote install system. Allowing people to buy applications on their desktop browser and have the application automatically installed on their Windows Phone device. This feature has been part of the Android Market for several months. The Nokia Store is close to having this functionality for Symbian, but still isn't there yet. To further "enhance discovery", Microsoft has added application recommendations to Bing search results too. They then moved onto the "Innovation Happens" section of the talk, where they acknowledged that 99% of the innovation that influences any company happens outside of that company. Therefore, Microsoft wants to engage with developers around the world. It's going to engage with universities to find the next generation of developers too. Microsoft wants to help them build local content and local businesses. Historically, many highly successful tech companies have started out in university halls (e.g. Facebook). Reggie Hutcherson from Nokia jokingly said that they like to lock developers in a room, occasionally sliding pizza under the door; because when developers get together, "innovation somehow happens". He went on to say that they (Nokia and Microsoft) "want developers to understand where to go to innovate and push things forward". As a means of doing this, Microsoft is producing a wide range of online educational videos, in many languages. It also has "developer evangelists" in 38 countries. Brandon finished up the session by telling everyone that Nokia has 25,000 Lumia devices to give away to Windows Phone developers. In his own words, "Developers want free beer, free pizza, and free devices. They don't buy, but they join things, like communities, forums, etc. 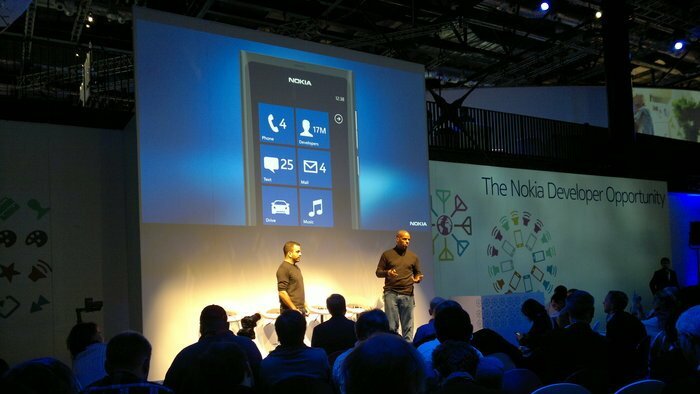 ", and that "Microsoft and Nokia are on a journey to get as many developers as we can, we implore you to join us!". If you're interested in developing for Windows Phone, you can find out more at the AppHub website, you can also follow Brandon Watson on Twitter.